THERESA May’s Project Fear reached a crescendo yesterday. Positioning herself as the defender of Brexit and the voice of the people, she said to vote against her deal would be height of recklessness – the alternative she threatened being a paralysis in Parliament leading to no Brexit. Readers of this site will recognise this for what it is – a desperate game of bluff. Mrs May’s Withdrawal Agreement – essentially a re-accession agreement as documented by Peter Gardner here – is hardly a cause for Dominic Grieve’s ‘Remain fanatics’ as described by Andrew Pierce in the Daily Mail to get riled up about. Which makes any ‘plot afoot to seize control of Parliament’ in the event of a no-deal vote looks transparently like a put-up job – as the finally vocal Boris Johnson suggests here. The truth is that Dominic Grieve and his chums are not Mrs May’s enemies at all. It’s a chimera. Peter Gardner’s blog for The Conservative Woman on Sunday powerfully evidenced how and why Theresa May has – through her Brexit negotiations – led the UK away from any chance of being an independent nation state whilst hacking down very possible deals with the EU, notably the Canada-plus model, with no reasoning given. He documents how she never fought the UK cause, rather protecting the EU project by ensuring the UK remains in the EU and even under the EU, whilst saying she was delivering Brexit. Gardner argues that May’s delays, transition periods and extensions all aligned with the EU’s next step-change to a federal Europe, and that by that time the UK will be in no position to resist, weakened as it will be by the terms of the Withdrawal Agreement and ruled by its unelected Joint Committee which leaves the EU with a final say on the now infamous backstop. If confirmation were needed, it came from reports yesterday of the EU resisting all requests to agree to the backstop to be one year only. Voting for May’s deal today would be to take the UK, blindfolded, back into the heart of a federal EU system in just a few years. The vote is about far more than a weighing-up of risk with respect to trade and/or economic disruption. 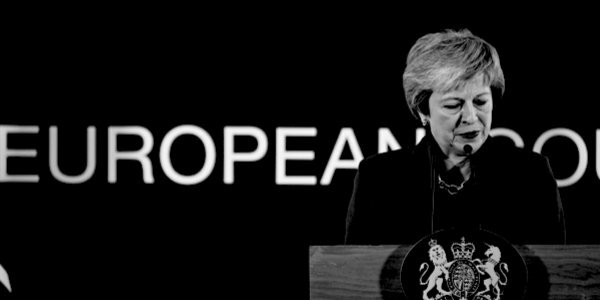 Exaggerated as this has been, it has diverted attention from the more fundamental question and intrinsic purpose of Brexit – to restore the nation’s sovereignty. Martin Selmayr and Sabine Weyand, the two German administrators for the EU, have openly said that ‘we have all the controls’ and ‘we have the power’ in running the UK under the WA. This has been carefully reported by Greg Hands MP in Conservative Home. Selmayr is the chief architect for the federalist step-change which, as Gardner identified, has received too little attention. Mrs May has not hindered his progress at all. Her policy of handing the EU all they demanded with the unnecessary gifting of UK military capability to the new EU army – yet again covertly but exposed by the MoD KitKat tapes – in the expert analysis of Prins, Dearlove and Guthrie is inexplicable other than in a context of future accession. The prevaricating Mrs May has questions yet to answer: why was this finance bill not delayed till after the date for quitting the EU? Commitment to the EU is deep within the DNA of the Foreign and Commonwealth Office, as evidenced by the belatedly released Document FCO 30 1048, urging the EU project along as well as the imperative of keeping the truth from the public discussed on The Conservative Woman here. It appears to have influenced our heads of state ever since, including no doubt Theresa May and Olly Robbins, and Sir this-that-and-the-other heads of the Civil Service. The revelations of a Civil Service whistleblower who has exposed the full hidden horror of the triple lock of the UK into the EU regulation devised by Selmayr and Weyand, to which May’s WA signs us up, reveals again this policy of information suppression. The BBC has colluded in this terrible secret policy by completely failing to report or discuss its significance, preferring to air the likes of Michael Gove and others’ repeated ludicrous claims that the WA is a good deal, if not perfect. Caroline Bell’s ‘Seven Deadly Sins’ blog in Briefings for Brexit tells the full story of how our agricultural policy including subsidies will be ruled by the EU, our fisheries will be more and more seized and controlled, trade will be regulated and new regulations applied, with no veto by the UK Parliament. The list is very long. None of which has being covered let alone trumpeted by the BBC. Dominic Grieve and his extremist ‘conspirators’, with Speaker Bercow leading the way, could not have been more helpful to Mrs May at this 11th hour, by contriving – indeed threatening – that Parliament can and will squash any chance of a no deal. What better ammunition did she need to bring her divided party onside? But if anything is reckless it is this – the self-interested behaviour of retainers who would risk our 500-year-old system of parliamentary democracy to thwart our exit from the EU. MPs must reject the WA, and refuse to be ‘psyched-up’ or spooked by the threats of Grieve hell and Parliamentary war. They will be rewarded by their constituents for holding firm and fighting for the democratic Parliamentary future of the UK. The real alternative is not, as May threatens, no Brexit – far from it – but a lifetime sentence to Selmayr’s EU federal project. If she had a smidgen of honesty she would not be creating a false flag now. She would have called out the real enemy within the EU and the British establishment long ago.